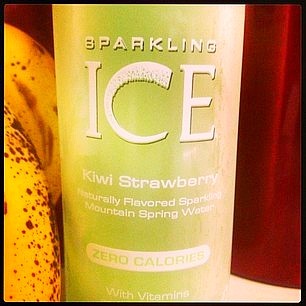 During June I have become a fan of Sparkling Ice, a zero calorie flavored drink. I discovered this product when I limped into Katy Trail Bike Rental in Defiance one Sunday morning with a painful thigh cramp and an empty water bottle. After a bottle of Kiwi Strawberry flavored Sparkling Ice from their cooler and a brief rest, I was on my way. I tracked down Sparkling Ice and found it at Wal-Mart and Dierbergs. I’ve tried several of their flavors but prefer the Kiwi Strawberry. Although the Pink Grapefruit flavor is a very close second! What I like about this stuff is the flavors are sweet but not overwhelming (unlike most mainstream diet sodas). Also, the carbonation is just enough to liven up the drink but not quite enough to make you feel bloated. My only problem with Sparkling Ice is the poor design of the bottles: they are tall and slim and tend to fall over inside my refrigerator. If you are a diet soda drinker, you might like Sparkling Ice. Dierbergs has Sparkling Ice on sale this weekend: a 17 ounce bottle for 88 cents. Spotted this week at the Wash U Medical School’s weekly Farmer’s Market. The market is set up each Thursday, 10:00 a.m. to 2:00 p.m. in the plaza, a couple of blocks south of the intersection of Forest Park Avenue and Euclid. 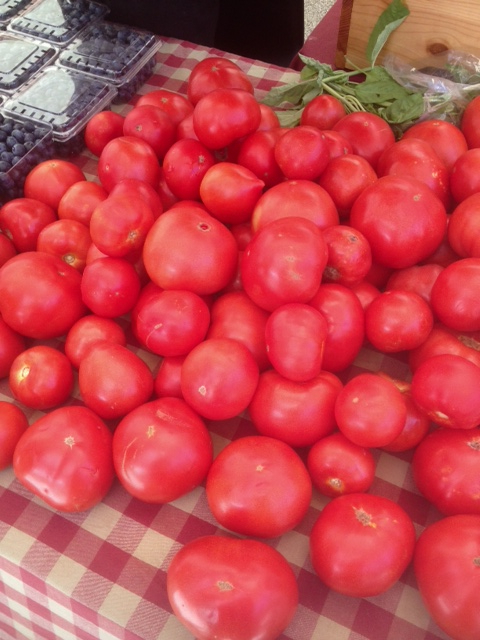 Since next Thursday is July 4th, next week’s market will be held on Tuesday, July 2. 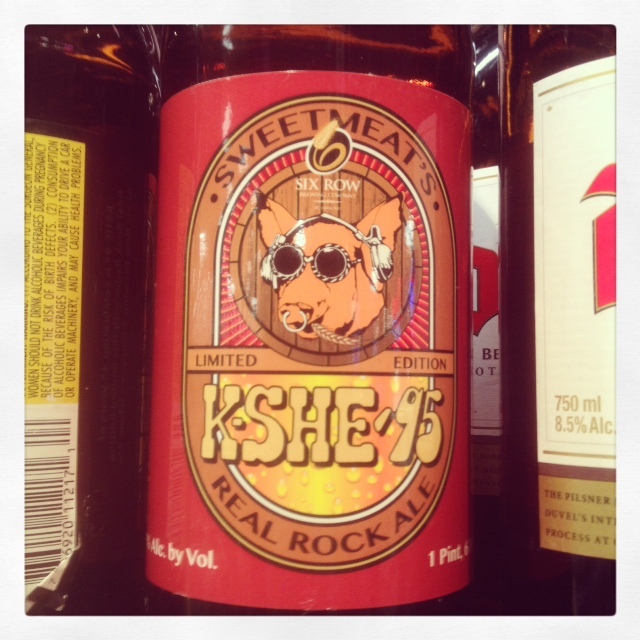 Spotted this week on shelf at a local Schnuck’s store. 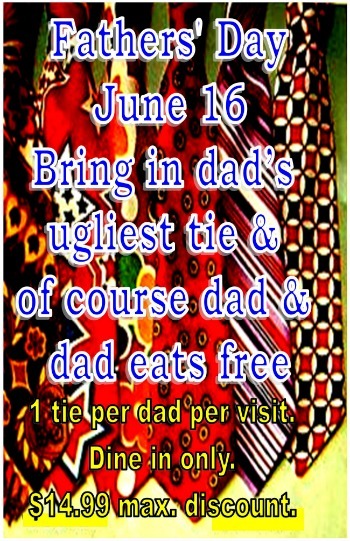 On June 16, dad can enjoy a free Sunday brunch at Highway 61 Roadhouse when you bring in dad’s ugliest tie. One tie per dad per visit. 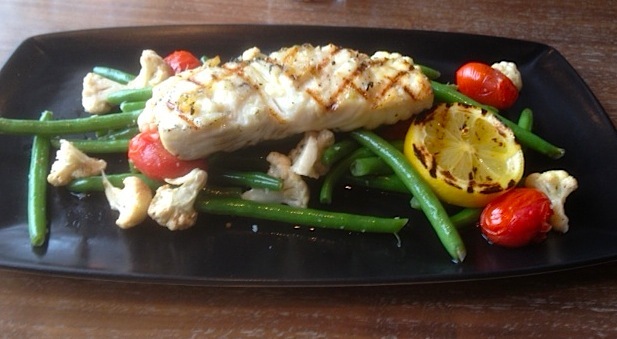 Dine in only. 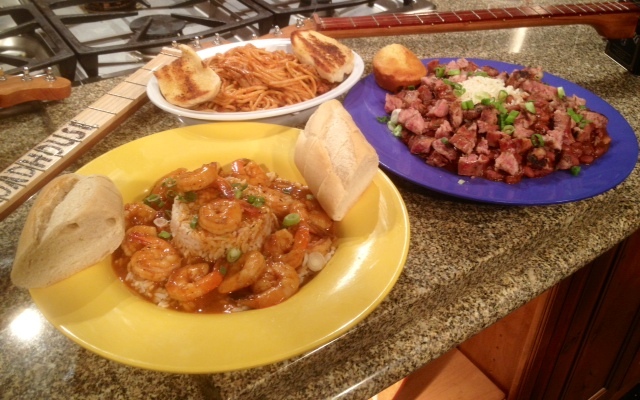 Highway 61 Roadhouse is located at 34 South Old Orchard Avenue in Webster Groves. 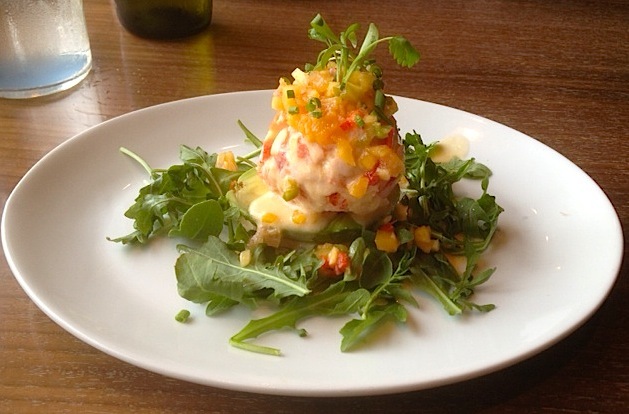 Brunch begins at 9:00 a.m. this Sunday at the Roadhouse. 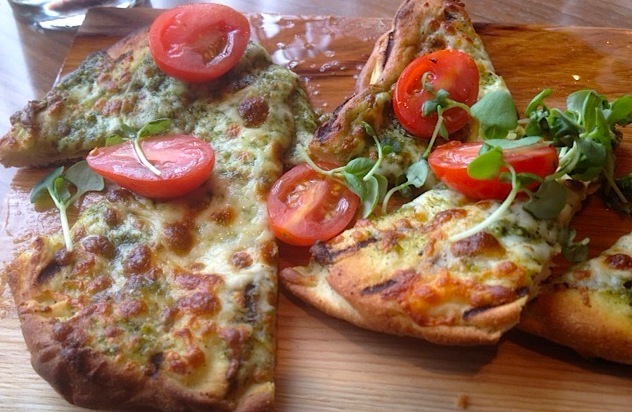 If you come in after brunch, dad can enjoy a 14.99 discount off dinner in exchange for that ugly necktie. 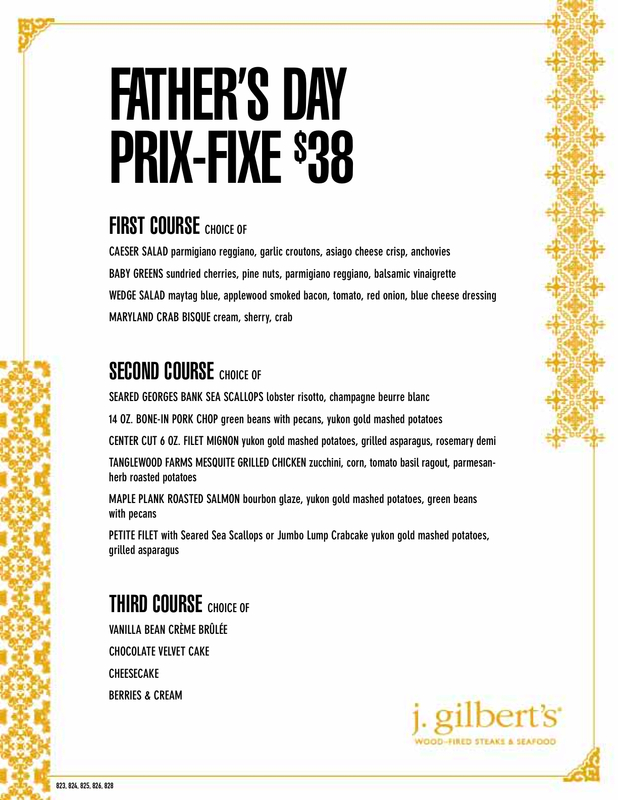 J. Gilbert’s at West County Center has a Father’s Day prix fixe menu, which they are offering from noon to 8:00 p.m. this Sunday. 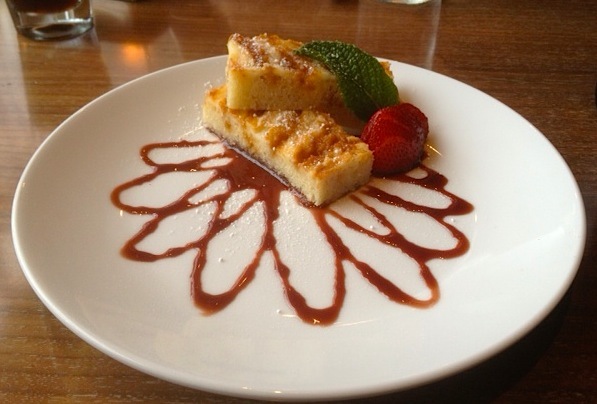 (Regular dinner menu also available.) Happy Day, Dad! P Moss is the owner of Frankie’s Tiki Room in Las Vegas (“the world’s only 24/7 tiki bar”), as well as the Double Down Saloon is Vegas and NYC. P Moss is also the inventor of the Bacon Martini! And coming soon for summertime Tiki parties, he has a new book on the way called Liquid Vacation, about those tasty drinks that are sometimes served with little paper umbrellas. 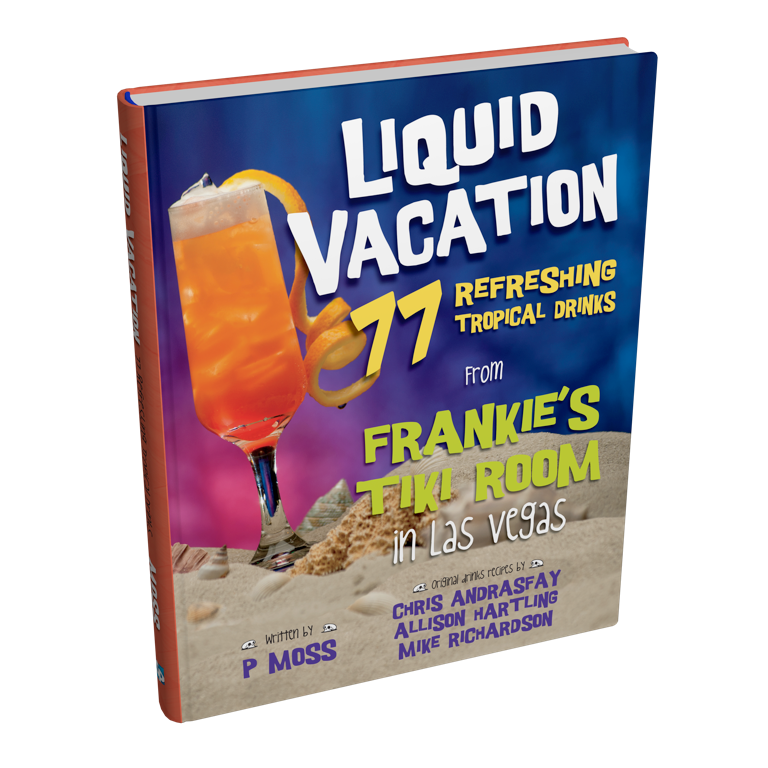 You can pre-order Liquid Vacation now on Amazon for 21.64 (+shipping).